Jeffrey Lubell in front of his creations! Since the foundation of America, the entrepreneur spirit and the initiative to start one's dream has been a crucial component to the development and growth of our economy. The recent bankruptcies of historically sound corporations prove that it's essential to make the prudent judgments when starting and maintaining a successful business venture. Jeffrey Lubell demonstrates that with passion, background knowledge, strategic plans and business savvy you can avoid a painful bankruptcy. Instead you can become the authority in your field and the risk will be well worth it as your business to pays off in ways you could have never imagined. In Jeffrey Lubell's case, the lack of private funding could have halted his growth but he sought out Mickey Drexter who was employed Gap. Drexter recommended a low cost and reputable jeans manufacturer which saved his budding business. Do not be too intimidated to network with other business leaders. There may be several stumbling blocks that could permanently hinder your dreams. Use these opportunities to reach out for assistance or advice.Use every opportunity possible to contact and team up with business leaders that are relevant to your industry. Having a mentor and/or supporter can have a positive social and economic impact by giving your insider tips, warning you about pitfalls to avoid, they can point your to more resources, give recommendations and provide more lucrative network contacts that are usually hidden from the masses. Take advantage of conventions, informal activities in your community, unions, business associations and organizations to connect with influential business leaders. Let your personality, talents and interests flow within reason. You need to discover the methods that suit and reflect your individuality. 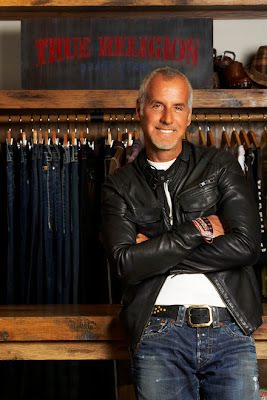 Jeffrey Lubell of True Religion Jeans states "...I produced about 14, 000 pairs before I sold a piece. Usually you do it the other way around-you make a sample line, go to the market, get orders, and ship your production" Lubell took a different approach to production and design which gave his business a distinctive culture. He also had faith that his jeans would sale as opposed to letting other's decide for him. Not everyone can be productive using the same methods as everyone else. In the short run it can be frightening to take the unprecedented path, however in the long run it can be rewarding. The result will be a company with a strong brand and less competition. For example, Google took a major risk by having a clean homepage but now they dominate the search engine market share. With so many competing and comparable businesses you could easily get lost in the crowd, become invisible and disposable. Ask yourself, what products and services does a customer need that isn't get offered or what innovative changes you can make to the established products and services that will improve the lives of my customers? Make it a goal to add your spin on current products and services. 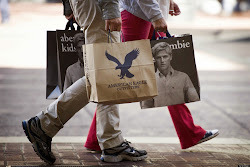 Lubell offered 24 jeans for a store to sell and only two sold in one month. Instead of becoming discouraged and deciding the customers disliked his product Lubell tried a new marketing technique. Lubell gave a sales representative, Fred Segal, a pair of True Religion Jeans for free and four days later they were all sold out. The sale representative said "People would come in, and ask, 'What are those that you're wearing. I want those." Customers need to see the quality for themselves before purchasing. Many businesses and corporations turn to cheap gimmicks and spamming, these forms of marketing are irrelevant and frustrating to most customers. Your marketing techniques should be authentic and personal. Think about the culture of your area and the demographics that you are attempting to attract. Consider their lifestyle, values, and the image they are trying to uphold. Use these variables to determine the best means of reaching out to them. Social media is lessening the barriers to customers. Now customers can see that their friends are following your page which increases their trust of you. Also think about the different personality types and the type of marketing they would appreciate. For example some people are more cautious and only will try a product based on word of mouth, while others just need an entertaining commercial and many are frugal and will only try a new product if it’s on sale. All businesses had to start somewhere. Consider starting in your own hometown and tapping into those resources and relationships. By doing business locally you can obtain a more secure handle on operations, get to know the customers and have the capacity to resolve the issues in a timely manner. People in your hometown will care more about your products and/or service, feel prideful that you’re homegrown and will be more eager to showcase their hometown through you. The result is a strong niche community that can hype up your business and spread your popularity nationwide. It will be a more warm and impactful experience, as opposed to distant customers and business partners. It’s also easier to gain media attention since there is less competition and you’ll be a bigger deal. Lubell manufactures his True Religion Jeans locally for the flexibility. "We can produce small runs and then gauge the market reaction before we make larger investments," says Lubell. Investigate what your local government, neighborhood Chamber of Commerce and local College offers. It also helps to be an active participant in your community. Try supporting charities and schools, volunteering for nonprofit organization, doing sponsorships, participating in philanthropic activities and assisting community events. Use these opportunities to communicate with the customers, directly observe customer behavior and learn what the customers truly desire and need. For those who may have recently relocated to another area, it can help to get employed locally first to get a feel for the business climate. Jeffrey Lubell is able to have full trust in his contractors. Lubell states "I didn't want to do anything, so I depend on my contractors to do everything...By working with them, we benefit from their experience." Research the skills, talents, experience and character that are necessary for your business and will spearhead the expansion of your start-up. Be honest with yourself and think about your own traits such as strengths, weaknesses, knowledge lapses and/or areas that you need experience. An effective manager knows how to hire expert employees and delegate task accordingly. Determine what type of employees or contractors that could pick up the slack, fill in for the weakness and enhance your strengths. A start-up can be very fragile and every moment is vital for quality productivity. Consequently it's essential to hire employees that understand the role they play and want to help you succeed. Published originally by Dianne Heath at Associated Content.